Making employment law great again…? We are well into the Trump administration, and despite the well-publicized paucity of Congressional legislation, there have been, and will be, significant changes in the laws that define the employer/employee relationship. Employers would be well-advised to make the appropriate adjustments now, while there is time to plan, and not just react. To assist in that effort, here is a summary of where we are, and where we are going. (I discussed much of this at the MEA HR & Employment Law Conference in September. Contact MEA if you are interested in receiving a copy of my PowerPoint presentation.). 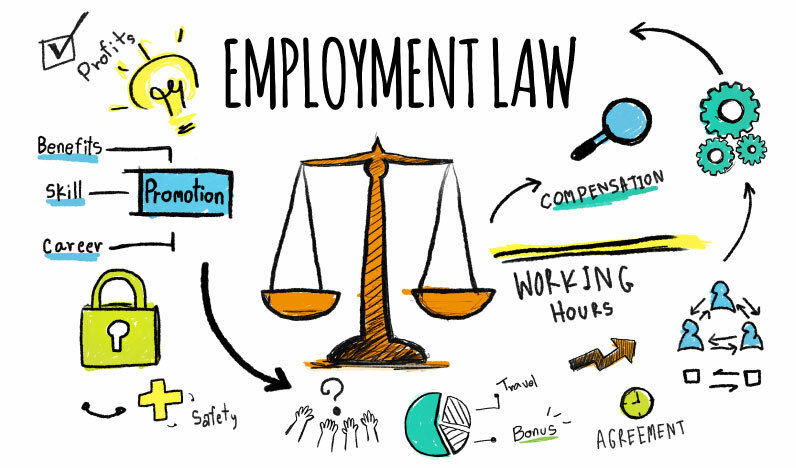 While the Republican majority in the House and Senate has not resulted in the enactment of meaningful legislation, it portends some very significant employment law changes that may reverberate through the workplace for years, and in some instances decades. It is too early in the game to be specific, but particularly because of key personnel changes, it is fair to predict a more restrictive view and interpretation of employee rights for the foreseeable future, with some notable exceptions, like pay equity and parental leave, explained below. Congressional committees are now chaired by Republicans, not Democrats. That will change the nation’s legislative agenda on everything from unionization rights, to healthcare, to harassment and discrimination laws, to environmental restrictions … and much more. There is a perception that the Obama administration swung the employment law pendulum too far to the left, and that it is time to swing it somewhat back to the right. The President has the right to choose key agency and department heads and members, including the EEOC, the Department of Labor, and the NLRB. See below: those appointments will result in policy changes that will significantly affect the workplace starting in the near term, and continuing for the remainder of the current administration. The EEOC has, in recent years, stretched the law, sometimes past its breaking point, to expand employee rights. The new head of the EEOC has served as general counsel to Fortune 500 companies, and can be expected to have more of a business perspective. We are still early in the game and how this will manifest itself is difficult to predict, but at the least employers should expect a levelling off in the contest between employee rights and business interests. The new head of the DOL has quickly moved to change its direction. For example, it will be easier to utilize true independent contractors without risking that the DOL will classify them as employees with overtime, FMLA and other rights. On the other side of that coin, the DOL can be expected to increase the rights of employees to overtime, though not to the extent favored by the Obama administration. As I have stressed in prior articles, the NLRB has sought to drastically change labor law to make it much easier to organize non-union companies, and much easier to penalize non-union companies for supposed infringements on worker rights. Expect changes in the “quickie elections” rules, the rulings restricting the right of employers to regulate employee commentaries on social media, the expansion of bargaining units, and more. The EEOC had allowed employers to offer employees up to a 30% rebate on health insurance premiums as an incentive to participate in wellness programs. A court invalidated that as being violative of the ADA, and it is unlikely that the EEOC will try to revive it. In the meantime, employers can feel free to offer wellness programs, but be careful about providing these kinds of incentives. Federal law is a crazy quilt of contradictions when it comes to defining the rights of LGBT employees. The issue is ticketed for the Supreme Court – and if a current justice leaves the Court such that President Trump garners the right to name a replacement, the likelihood that LGBT rights will not be expanded at the federal level will substantially increase. However, Congress may enter that fray, and many states and municipalities are protecting LGBT employees in their jurisdictions, so be careful. State and local efforts to preclude employers from requiring disclosure of an employee’s prior compensation is gathering steam – the idea is that prior compensation should not influence what an individual should be paid when assuming a different position. The EEOC may also jump on this bandwagon. Stay tuned. President Trump has endorsed legislation mandating paid parental leave (funded by an increase in unemployment insurance taxes). It is not around the corner, but it may happen in years to come. Some states and municipalities are already adopting various forms of paid parental leave. The times, they are a-changin’. For sure. Let us know if we can help.